The mowing chassis RZS 69/V is intended for connection of engines with 80 mm centrifugal clutch. It is made for 4-stroke as well as 2-stroke engines. 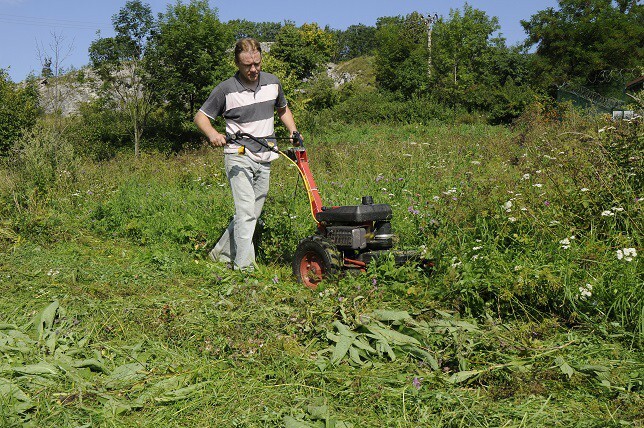 With the cutting width of 69 cm you can mow 1 hectare or even more. 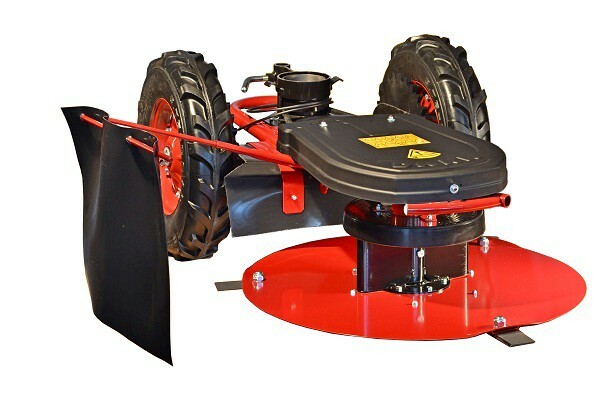 The mower has a light tube frame and the travel with a worm-gear unit in sliding carriage. The full rubber wheels have a V-shaped tread pattern. 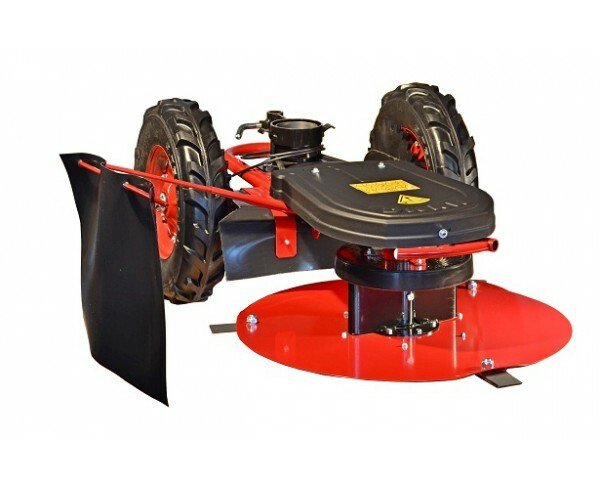 The cutting disc is equipped with 3 double-ended knives and a plastic wheel arch. The divided shaft provides for the OP 111 turner-raker attachement.